With all of the cold and nasty weather we've been having here in Kansas, it's hard to believe that St. Patrick's Day is only a couple weeks away. With another winter storm coming this weekend, I am more than ready for spring and that's an understatement! If you're a first or second year teacher, this post is for you. I wanted to take a minute to check in with you to see how you're doing. How has your school year gone so far? 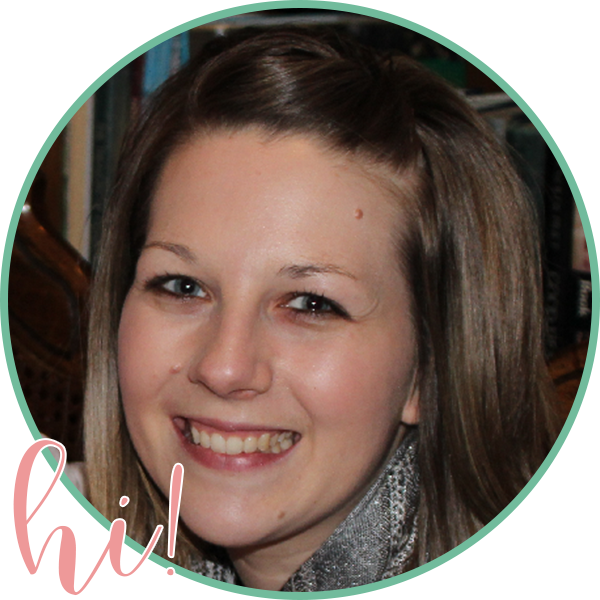 From a former first year teacher, I know what a roller coaster that year can be. Of course it's wonderful in so many ways (Just think - you got your first job! ), but it can also difficult in some ways, too. 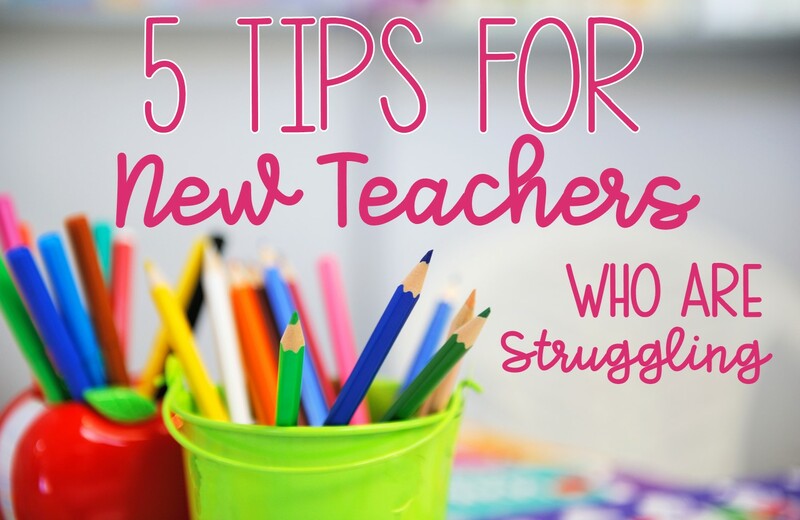 Today, I have five tips for you if you are a new teacher who is struggling. 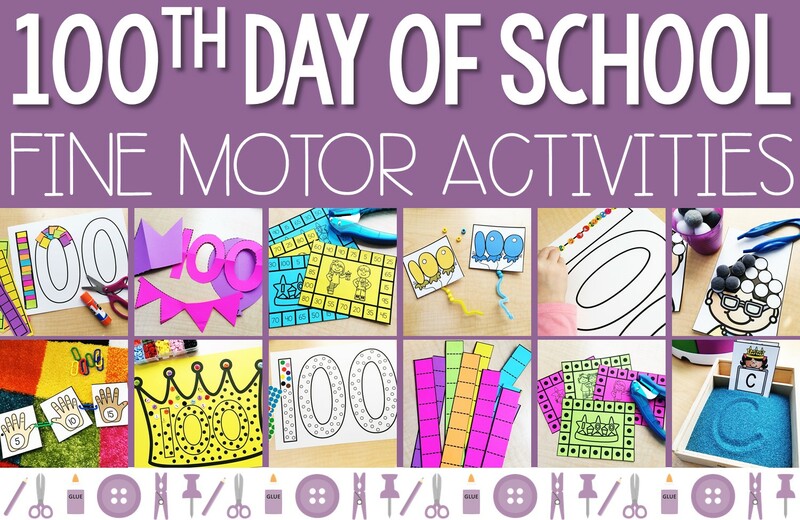 It's nearly the middle of January already and around here, that means that it's almost the 100th day of school! Every year, as a parent and teacher, it's hard to believe that 100 days have already gone by. It's such an exciting day for our students and I like to make the entire day all about everything "100"! Happy Friday! 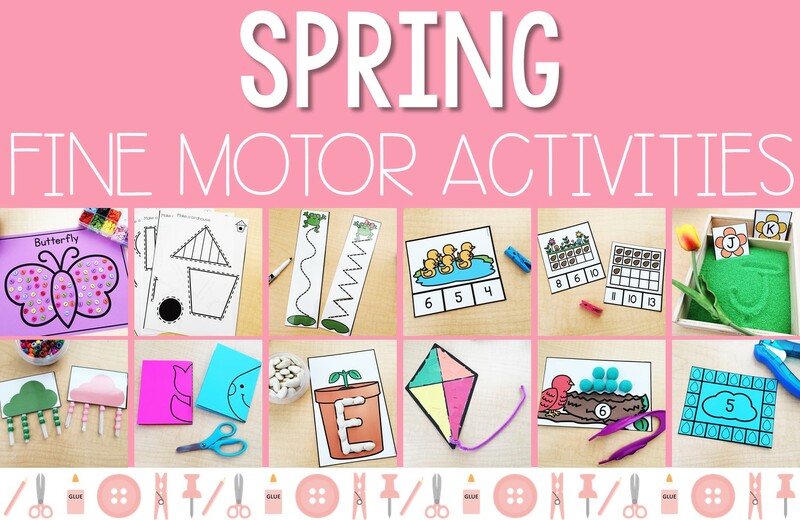 I've been working really hard on more fine motor activity packs and I just added this one this week. 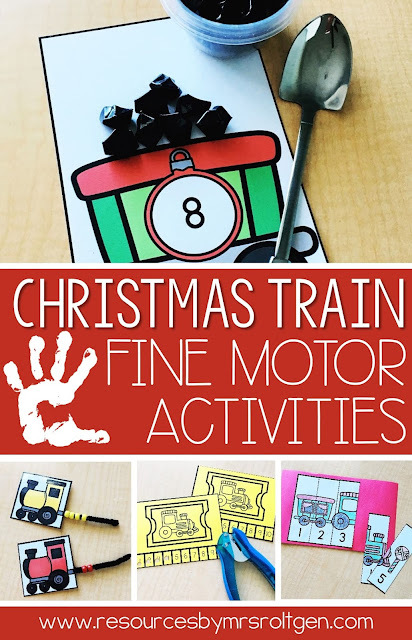 If you read or watch "Polar Express" or just love celebrating all things Christmas in your classroom, here are some fun activities that add fine motor work to your school day! 1. Paper Tearing: Students will tear pieces of paper from pre-cut construction paper strips and glue them to make smoke coming from the train. 2. Cutting Activities: There are a few different cutting tasks for you to choose from. The first has students cut out rectangles with train cars and glue them onto the tracks. The second cutting activity is more of a complex shape. 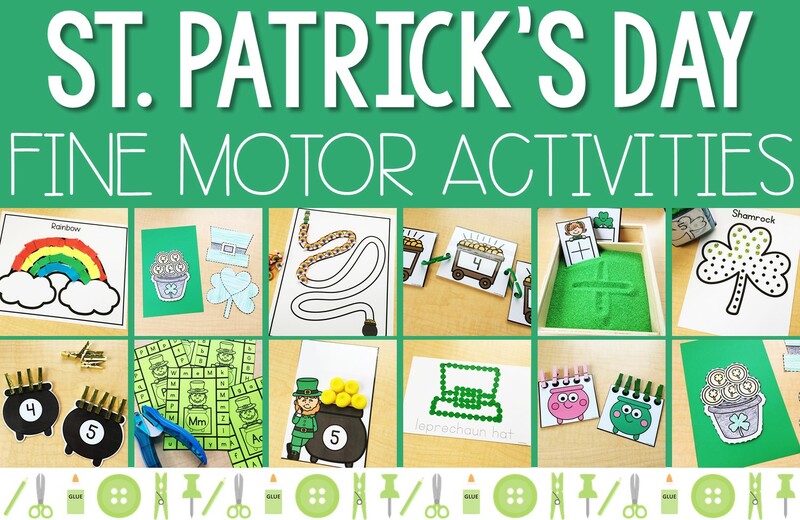 Students can color, cut, and glue. The third task is cutting puzzles. One is a 1-5 puzzle and the other is more abstract. Students can color and cut out the puzzles. Then they can mix them up, put the puzzle back together, and glue it onto a half-sheet of construction paper. You could also place the pieces in a baggie to save and reuse! 3. Line Tracing: Students will trace lines of varying difficulty. 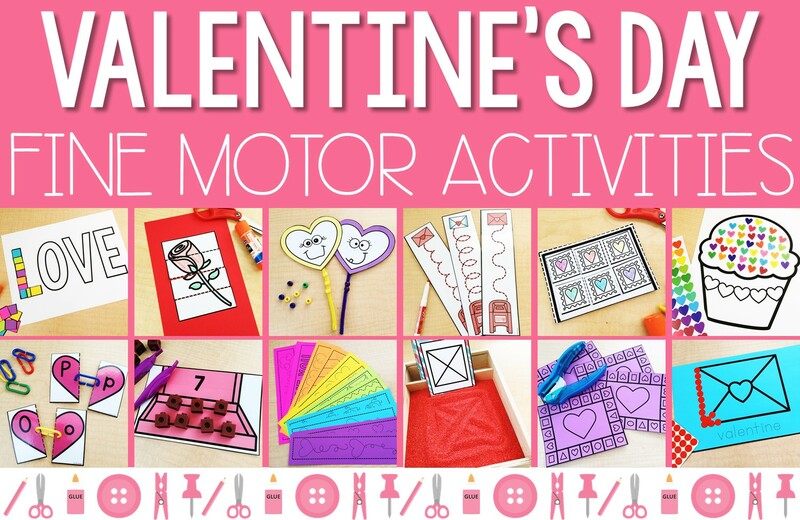 You will print the pages on cardstock and laminate the cards so students can use dry-erase markers. 4. Tweezing or Scooping: Students will use a scoop or tweezers to add coal to each coal car. I found the pretend coal here and the mini shovel here. However, you can use black pom-pom balls for coal and any tweezers or scoops/scooper tongs! 5. 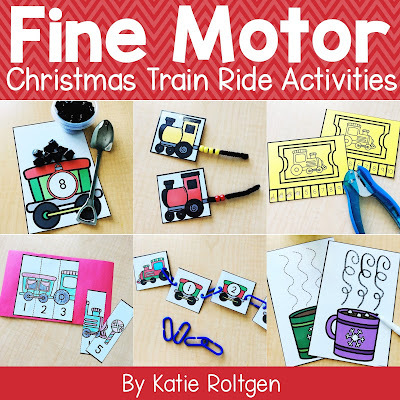 Linking: Students will link the cards in number order to build a train. 6. Pathway Activities: There are a couple options for these. First, you can have students use mini erasers or small vase filler gems to help the train get to the North Pole. Or, you can have students trace the path using dry-erase markers. 7. Hole Punching: There are two versions of these train tickets. One has numbers 1-10 in order, and the other has the numbers mixed up. For both versions, students will punch the numbers in order from 1 to 10. 8. Sticker Pictures: For this activity, students will place small stickers along the outlines of the pictures. You can vary the size of stickers you use based on your students' needs. I love these 3/8-inch dot stickers and they come in tons of colors! 9. Pinning: Students will use a jumbo push pin to poke through the dots on the page. 10. Stringing: Students will sort plastic pony beads onto the correct train card. To make these, I cut pipe cleaners into thirds and taped one to the side of each card. 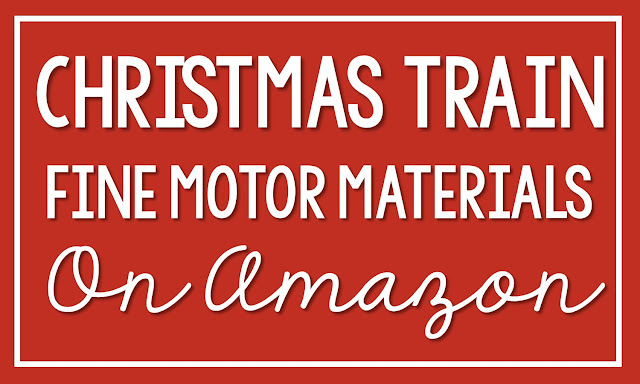 If you're interested in any of the materials I used, click on this image to view them on Amazon! 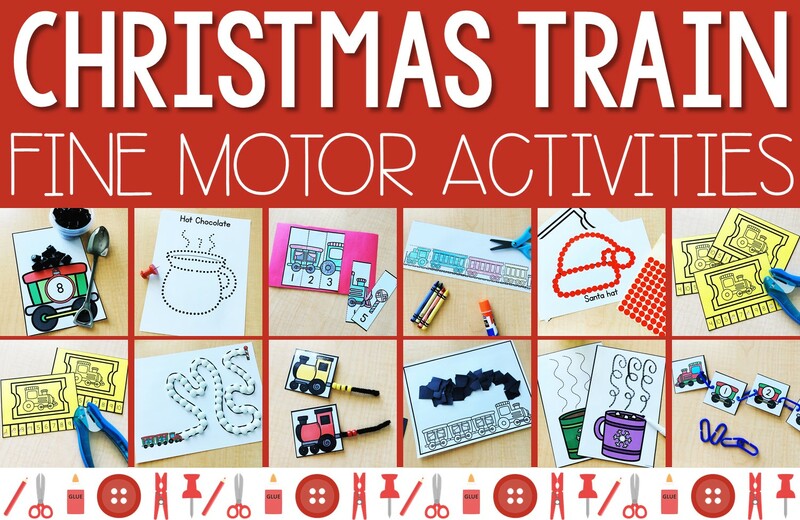 To grab this fine motor pack, click here or on the image below! Have a great weekend!